I sat under the cool shade of a tree in a sprawling farmland in Balali village in Haryana today afternoon. Two boys walked past me in a hurry, one of them stylishly mouthing a dialogue from Raju Hirani’s PK and telling the younger amongst the two that the same guy is coming to their village today. 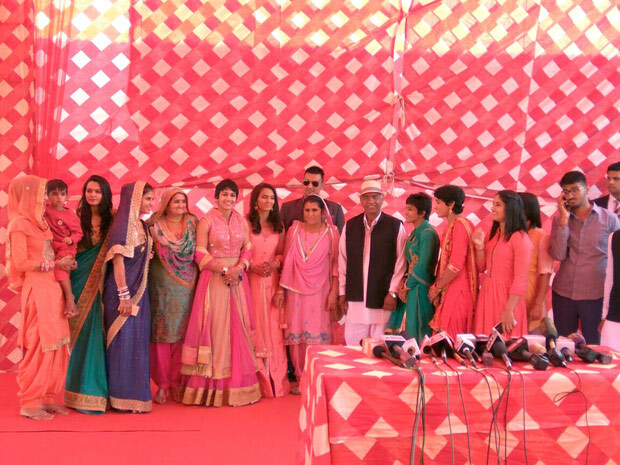 Aamir Khan created a furore today as he descended on a small village in Haryana which hosted the wedding of Geeta Phogat, one of the Phogat sisters who have inspired Khan’s next film Dangal. Wearing a stylish saafa and beard Aamir looked every bit a hunky Haryanvi cool dude. He revealed that he was planning to bring a wedding dress for Geeta but Geeta informed him that as per tradition the wedding dress comes from maternal uncle. “We shall be giving a very nice gift to the entire Phogat family when they shall be watching Dangal in December,” Aamir said. 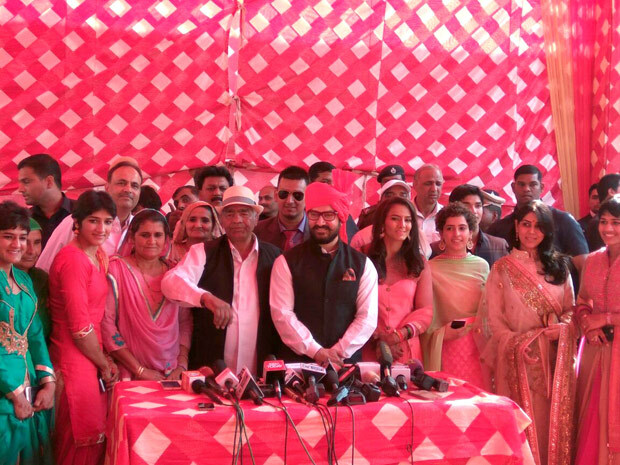 Aamir spent some time with the Phogat family in their house and the crowd swelled outside in big numbers hoping for a sneak peek or that elusive picture. 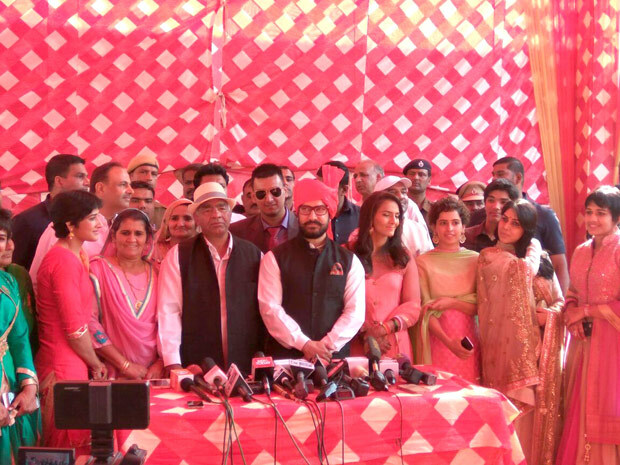 The most notable photo opportunity of today was Aamir Khan and Mahaveer Phogat grinning from ear to ear and complimenting each other in bright head gear. The countdown for the big Dangal has begun in a big way!